The idea of a class struggle between ‘the 99%’ and ‘the 1%’ is Marxist in origin, having been introduced by Black Panther Party member, George Jackson, in the early 1970s. More recently, of course, it reappeared in the discourse of the ‘Occupy’ movement, where it infused a certain type of class politics into the self-understanding and public profile of the movement. For some, the objection is a matter of arithmetic: the ruling class, they say, actually comprises more than 1% of the population. But this objection seems to miss the mark, because no one (including Jackson) intends the formula to be understood in such a hyper-literal way, as a numerical estimate of the exact ratios. Rather, the notion of the 1% signifies the tiny minority of people whose wealth and power vastly exceeds that of most people. This small ruling elite arguably makes up the main adversary of the oppositional movements of the exploited and the oppressed. In the same way, the 99% should not be mistaken for a precise numerical formula. 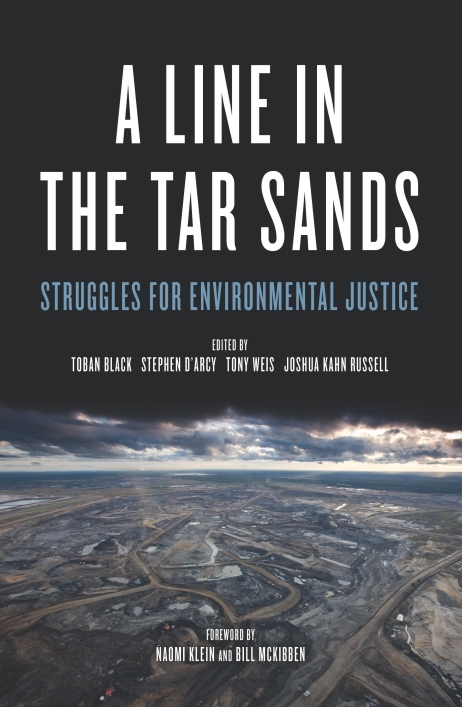 It simply points out the antagonism in principle between the profit-motivated ruling class and all of those many millions of people whose well-being is sacrificed and whose aspirations are thwarted by the systems of power that impose oppression, exploitation and alienation on the bulk of humankind, in a variety of ways and to varying degrees. Karl Marx, being rather more upfront about the irrelevance of numerical precision in this context, referred (in the 1848 Communist Manifesto) to this vast segment of society simply as “the immense majority.” He described the anti-capitalist movement as “the self-conscious, independent movement of the immense majority, in the interest of the immense majority.” Elsewhere in the same work, he got more specific, identifying this movement with the 90%, subtracting nine percentage points from George Jackson’s catch phrase. Should we conclude that, precise numbers aside, Marxism can well accommodate the basic thrust of Jackson’s 99% phrasing, give or take a few percentage points? Perhaps. But there are further objections to consider. Importantly, the interests of ‘professionals’ can sometimes clash with those of workers, because professional labour is partly de-commodified by guild-like ‘associations,’ like the ‘medical associations’ of doctors and the ‘bar associations’ of lawyers, which create a partly distinct set of interests and political priorities, as well as distinct advantages, notably more autonomy at work and higher pay and status. In the same way, although only the richest upper-level managers gain entry into the 1%, people in lower- and middle-level managerial or supervisory jobs can find that their interests diverge from workers in very direct and clear ways, since their work may entail hiring, monitoring, and disciplining workers. Finally, people who own small businesses or family farms, very few of whom could plausibly be seen as members of the ruling class, often count on hiring low-paid and precarious labour as part of their business model. In these ways, there can be class conflict within the 99%, and the phrase seems to downplay, if not to deny this possibility. It would be foolish to deny the seriousness of these criticisms, and no doubt we should keep them in mind at all times, to avoid turning Jackson’s 99% concept into a source of obfuscation and confusion. But it is worth noting that Jackson did not see these two points as being in tension. He was alert to both the possibility of a broad anti-capitalist alliance (addressing the grievances and aspirations of the 99%), and the necessity to acknowledge and address actual or potential conflicts of interest and aspiration within that proposed alliance. Just after highlighting the fundamental clash between the 1% and the 99%, Jackson notes that “we must understand the racial complexities that exist” (p. 11); he highlights the importance of “internal colonialism” (p. 10); he notes that African-Americans are, but whites are not, subjected to routine police violence; he highlights the political differentiation between rightist and leftist workers (p. 63); and so on. But he sees these “complexities” as posing a political challenge for the oppositional struggles, a task to be taken up by the broad anti-capitalist movement: “to devise a policy,” that is, a program, “which takes account of…racism,” as well as colonialism, sexism, class differentiation, and other sources of potential divergence and conflicts of interest. This, he suggests, is the common task of all “sections of the left revolutionary movements” (p. 11). If the jargon of the 99% and the 1% makes it harder to “devise a policy” within the anti-capitalist movement that can “take account of” the “complexities” and internal antagonisms that do (or threaten to) obstruct the emergence of a common front against the ruling class and its system, then we should dispense with Jackson’s formula. But, in a time when a broad, differentiated yet united movement against the system seems so sorely lacking and elusive, it may be that what we need most is to reawaken the very ambition, now largely absent, to construct an anti-capitalist alliance that draws in a wide array of forces, while recognizing the autonomy and distinct integrity of movements that cannot be simply collapsed into a single, undifferentiated super-movement. Alliances, by definition, are forms of coordination and strategic convergence of differentiated forces. They are not fusions that deny or suppress the specificity of different participating organizations, groups and projects. Nevertheless, an alliance entails a process of realignment, in which partnered forces assume a coordinated posture of common opposition to a shared main adversary. It is worth recalling at this point that Jackson was a Leftist of a different time and place, when the level of struggle was much higher, and the political debates on the Left were linked intimately to the construction of mass organizations and the conduct of broad-based and militant popular struggles. We should not succumb to nostalgia, but it can’t escape our notice that Jackson wrote at a time when one still spoke of “forging alliances,” the confluence in struggle of large social forces, not just about “being an ally,” which is understood nowadays to be a process of personal growth undertaken largely by individuals (as opposed to mass organizations, movements or classes). Today, terms like “alliances,” “liberation movements,” and “revolution,” have largely dropped out of the activist vocabulary (examples: 1, 2), so it is a challenge for some to understand Jackson’s mentality and his strategic sensibility. But Jackson wanted to build — starting right away — a militant mass movement that could topple capitalism, imperialism and all forms of oppression and exploitation. His concern wasn’t how to live together within the systems and constraints of capitalism, racism, sexism and imperialism, but how to destroy them, by means of a broad-based popular struggle from below: what he called “the protracted war of the worker bees” (p. 83). It was, I suspect, just this concern — the concern to construct, precisely on the basis of our insistence on “the complexities,” a broad but militant anti-capitalist alliance — that motivated Jackson’s introduction of the formula of the 99% versus the 1%. 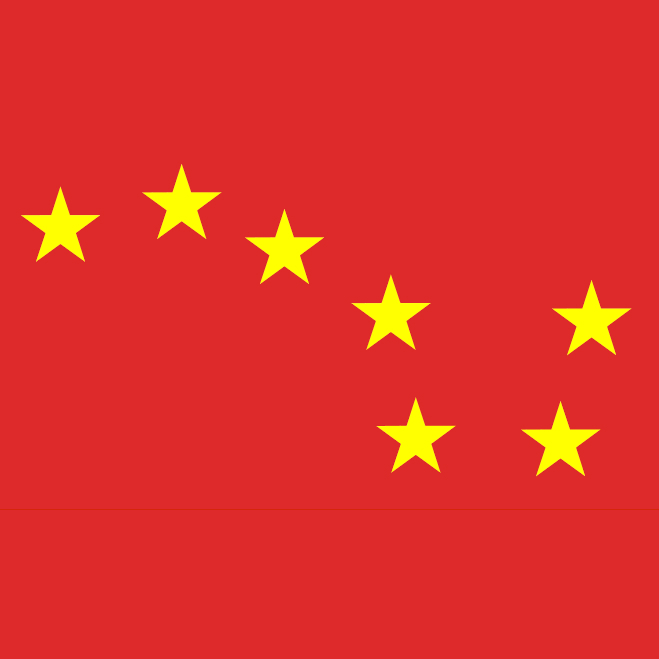 “If the 1 percent who presently control the wealth of the society maintain their control after any reordering of the state, the changes cannot be said to be revolutionary….If the 1 percent are simply displaced by another 1 percent, revolutionary change has not taken place….A social revolution after the fact of the modern corporate capitalist state can only mean the breakup of that state and a completely new form of economics and culture” (p. 9). In this respect, too, Jackson’s revolutionary spirit foreshadowed what was best in the Assemblies movement, which spread from North Africa to Southern Europe, and eventually to Zuccotti Park and beyond, with its resolute repudiation of official politics and its zeal to create the new. 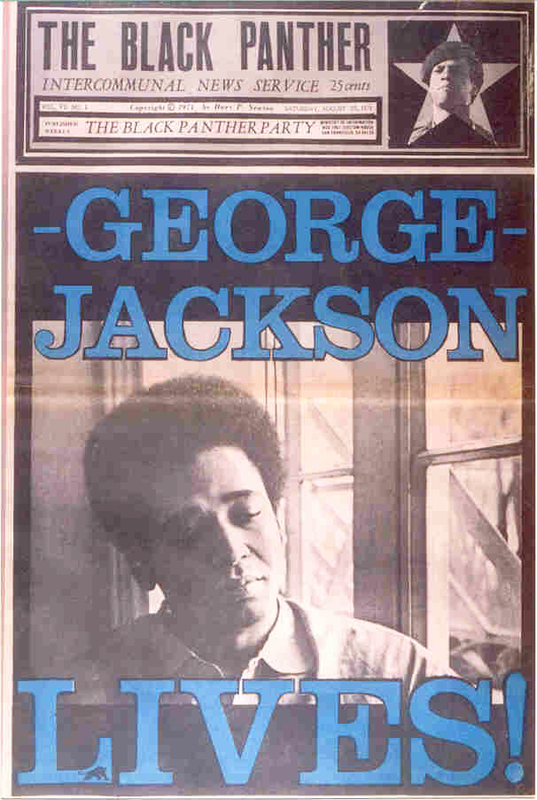 To be sure, there are large parts of George Jackson’s political strategy that we can clearly see, at least in retrospect, to have been doomed to failure. In particular, his support (e.g., pp. 66-70) for what I have described elsewhere as “the clandestine cell model of armed struggle,” which he depicted as the basic form of revolutionary politics in our time, proved to be disastrously mistaken. Not all of his proposals have aged equally well. 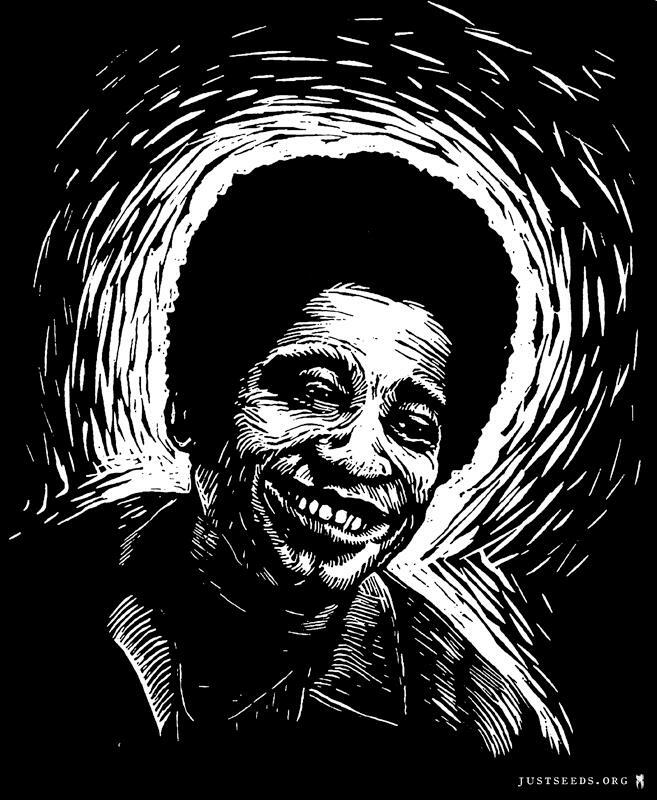 But his passion to construct a broad anti-capitalist alliance of the 99% against the 1% seems to be one thing that George Jackson got exactly right. Great article. Very informative for me who knew nothing really about George Jackson before coming in here. One thing, though, the last link in the last paragraph goes to a page that’s no longer available and I was rather interested in reading your take on Jackson’s clandenstine cell model of armed struggle. Do you have an updated link to that article anywhere? Thanks again for your time. Great writing. Keep it up. Thanks for your comments. 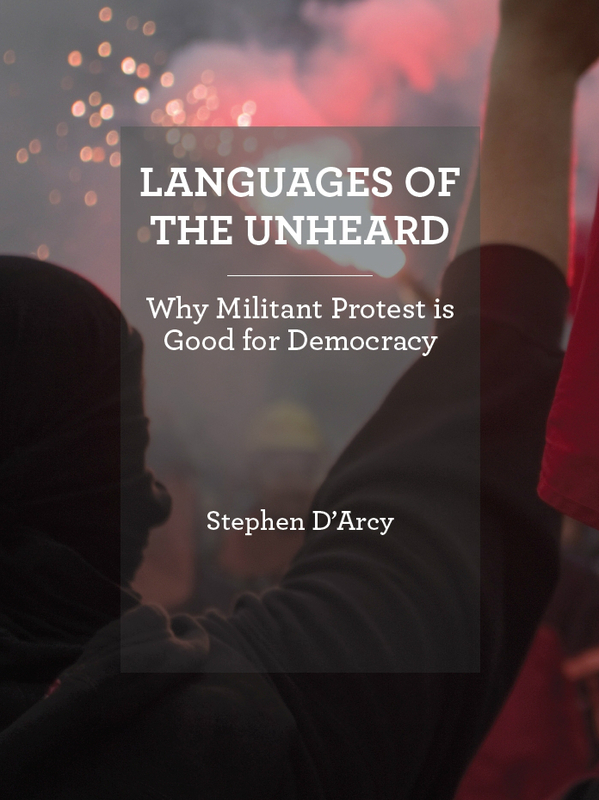 The link was just to information about my book, Languages of the Unheard, which has a chapter on the ethical questions surrounding the use of armed force to remedy grave injustices. It wasn’t to an article on the topic. My basic position, however, is (1) that the use of armed force is in general a bad thing, to be avoided as much as possible; (2) that sometimes it isn’t possible to avoid the use of armed force, because there are no less-harmful or less destructive ways available to fend off aggressors or put a stop to grave abuses; (3) that therefore sometimes it is more ethically dubious to refrain from taking such measures, and allowing grave harms to continue when they could have been stopped, than it is to resort to the use of force; but (4) even in such cases, the use of force can never permissibly be used in ways that are disproportionate to the injury being interrupted, or indiscriminate with respect to those targeted or endangered. This I take to be, not a unique position of my own, but what I call “the common view,” and my position in the book is that there is a broad consensus — at the level of basic principle — in support of the common view, across the political spectrum. On the other hand, there is no broad agreement about how to apply it to specific cases.